Naming your app is like naming your baby and can be equally gut-wrenching. You want your name to be unique, but not so unique that no one can pronounce it or spell it. Your name ideally says something about your product’s personality, but also conveys its usefulness. Some apps that balance the two goals well are TravelZoo, BookBub, and Parking Panda; the names allude to the app’s main function, but are memorable and “brand”-able. It’s not a good idea to fall in love with a name right away. Your chosen name might only be meaningful to you and not your potential customers. It might already be trademarked. There might be another app named the exact same thing. 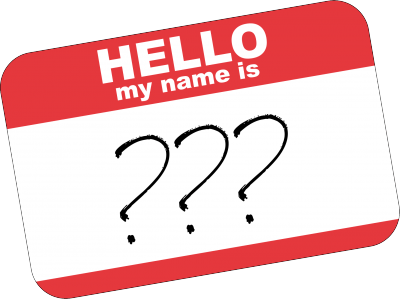 When choosing a name, brainstorm lists and more lists of potential names. Use a name generator like nameboy.com or dotomator.com to get you started. Then, let the cream rise to the top: show some of your names to friends and family, give yourself time to let ideas simmer in your brain, and see if themes begin to emerge that help you narrow the choices down. Test names on PickFu to get outside opinions before you launch. Sure, you’ve got 255 characters on the App Store. But when an app lands on the home screen, you’ve only got 11. Even if your app name runs longer than 11 characters, make sure it can be abbreviated to fit within these parameters. Many apps include the app name as well some descriptive words. Doing so can help users find your app, as well as improve your ASO performance. There are two apps called Lemonaid and LemonAid, but each added some context to help you understand what the app does. Avoid the temptation to use every keyword you can think of. Instead, create a spreadsheet of apps in your niche, and make a column for each keyword used in their names. Figure out which keywords are relevant, but perhaps not as competitive. Focus your efforts on three of them. Limiting yourself to three will spare you from looking spammy. Excessive use of words like fun, addictive, best, and free can be a red flag not only to users, but to the search engines. Tread carefully. Remember, you don’t just need to claim your name on the App Store – you’ll also need a URL and social media handles. Make clever use of prefixes and suffixes to help. The game Dots uses weplaydots.com and @playdots on Twitter. Loyalty app Belly lives at bellycard.com and @bellycard. TheNameApp.com is a helpful site to search for what’s available. It’s tempting to put your name in all caps to stand out. But you’ll stand out for all the wrong reasons. Particularly in the App Store, avoid special characters such as *, >, and }. These symbols will cause iTunes to refer to your app’s numeric ID, rather than its name, to scan for relevant keywords. According to a 2014 study by Distimo, North America generated only 31% of global App Store revenue. If your app audience goes beyond our own borders, consider translating your app title, keywords, and description into the languages of your customers. For more tips on marketing your mobile app, visit our resources page.